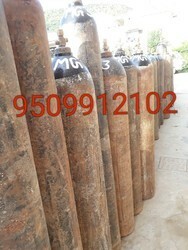 We are engaged in offering excellent quality Carbon Dioxide Cylinder to our valuable clients. Carbon Dioxide (CO2) is an exceptionally versatile gas and is the most widely used in applications requiring inflation, propulsion, evaporative cooling and mechanical energy. To meet variegated demands of our esteemed clients, we are engaged in manufacturing an exclusive range of Carbon Dioxide Cylinders. Deals in Maharashtra only . 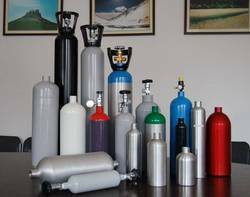 To supply the ever rising needs of our customers, we are occupied in offering a wide range of Medical Grade CO2 Cylinders.